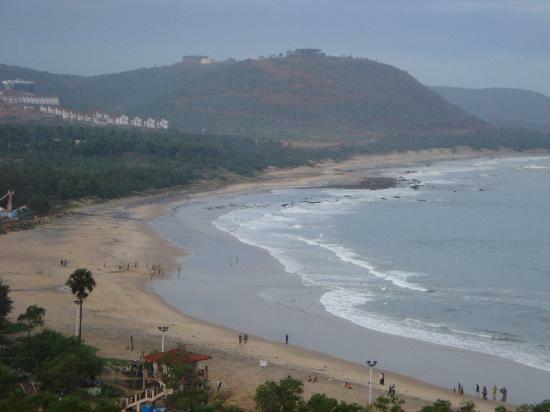 Deriving its name from the Lord Ramakrishna, this beach is commonly called as RK Beach and is one of the happening places in Visakhapatnam. Many recreational places like Submarine museum, Visakha Museum, Aquarium, War Memorial, statues of eminent personality and many more are all lined up along this beach. 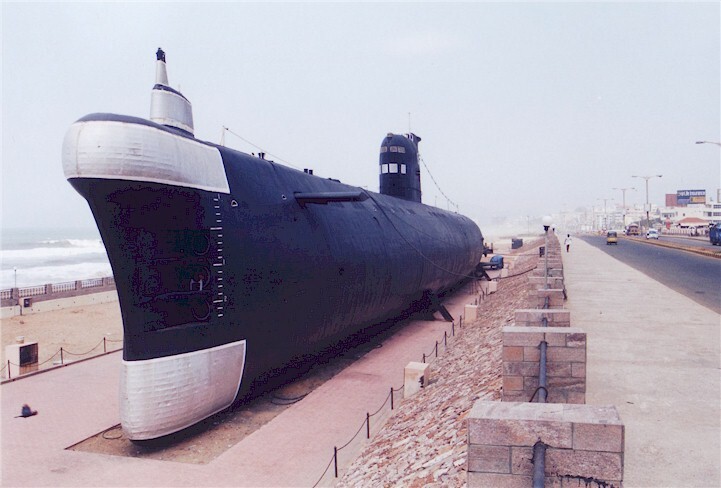 Submarine Museum, 'Smritika' set up nearby the Visakapatanam port, is located at the serene beach named the Rama Krishna Beach. The museum started functioning in 2001 was converted from INS Kusura, a Russian built submarine. Only one of these kinds in India and Asian continent, this Submarine Museum attracts many. Pavuralakonda is a hillock, located 24 km from Visakhapatnam. It lies near to Bheemunipatnam Beach. 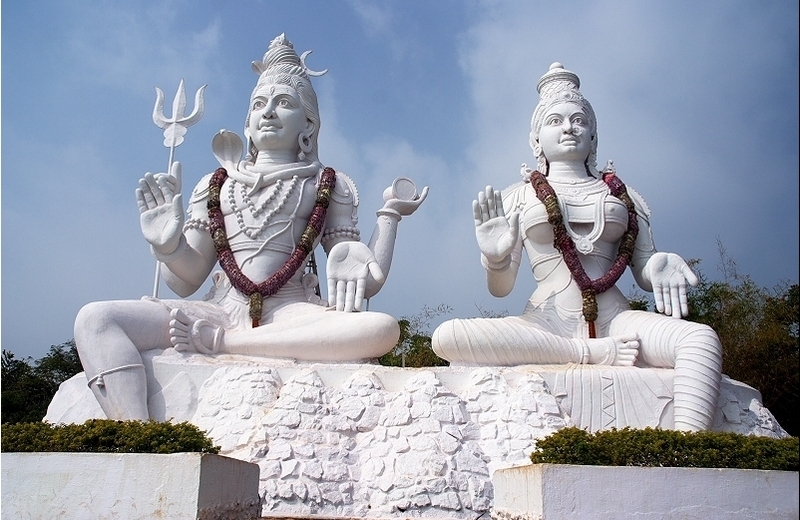 Pavuralakonda is renowned as a Buddhist site. Pavuralakonda is bordered by a chain of hills on the southwest and northwest and it offers a beautiful view of the curved linear coastline with a crescent shaped valley. The excavations highlighted certain artifacts, which are dated between 3rd Century BC and 2nd Century AD. The objects include 14-16 rock-cut cisterns that hold the rainwater, foundations of viharas, circular chaityagrihas, votive stupas and halls. Pavuralakonda is also known as the hill of pigeons. 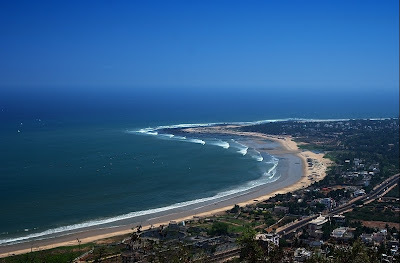 The lovely Rushikonda beach in Vishakhpatnam with golden sands and vast stretch of water is the best beach in Vizag. Rushikonda Beach, an ideal location to engage in water sports, is spectacular with its golden sand and the tidy waves of Bay of Bengal. It attracts a huge crowd of tourists day by day and many of them enjoy swimming, water skiing and wind surfing. 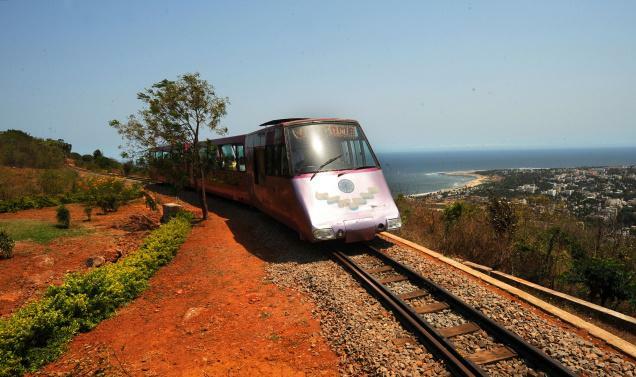 An attractive and local favourite hill station, Kailasa Giri offers a spectacular view of the sea. It has serene and beautiful Rushikonda beach and RK beach on the left and hillock on the right. 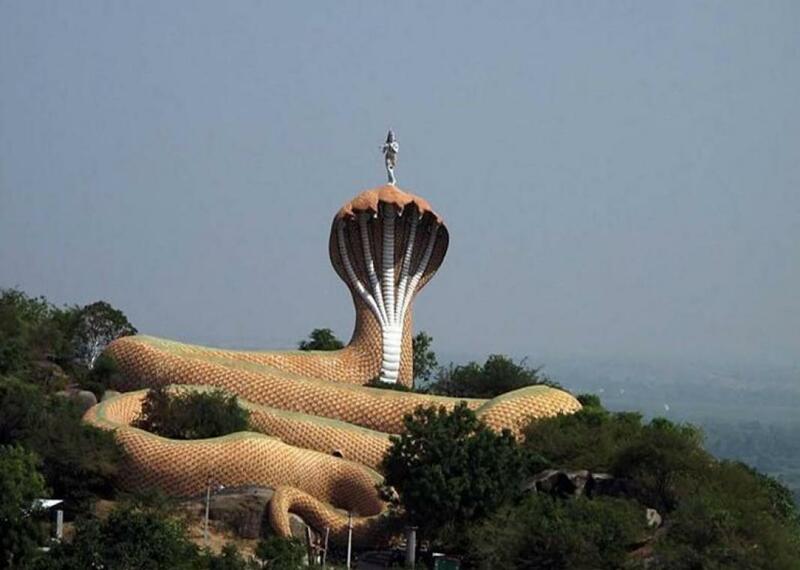 As the name suggests, the hill is Kailasa, the abode of Lord Shiva and Parvathi, massive sculpture of Shiva and Parvathi is seen here. The Toy Train runs for a distance of 2.5 Kilometers on the Kailasagiri Hill range and gives a chance to the visitors to see the entire Visakhapatnam from the top.